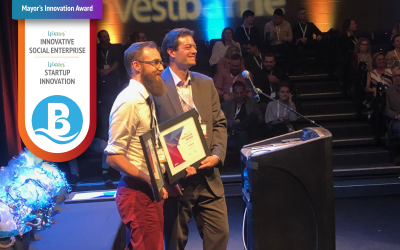 Well, it’s safe to say we’re pretty darned excited to announce that on Wednesday, October 10th, 2018, the Barrie Chamber of Commerce named that Tandempark and CEO & founder, Liam Squires are both finalists for 2018 Barrie Business Awards. Tandempark, alongside DECAST and Madison Taylor Design, is in the running for the Innovation & Technology Award, while Liam is being considered for the Arch Brown Entrepreneur Award of Excellence. Also being considered for this award are Dawn Mucci of LiceSquad.com and Angie Ricci of Angel Tours and Entertainment. 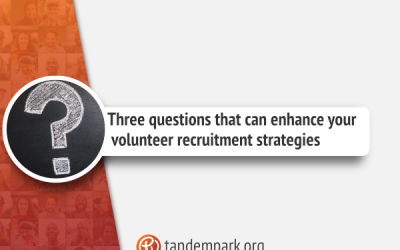 Over the past few years, the team at Tandempark has been diligently working hard to solve challenges the volunteer sector continually face. 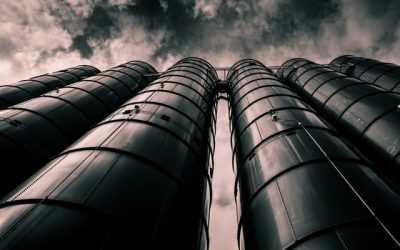 While the original vision focussed on connecting volunteers and organizations, the unique approach we took allows us to recognize and respond to other very important challenges in volunteerism. So, as a final note in this joyful little announcement, we send a special thanks to everyone who felt we were deserving of a nomination! We feel the love! The award winners will be announced at the Barrie Chamber of Commerce Award Gala on November 8th. The event is sponsored by Bell, The City of Barrie, Alectra Utilities, and Park Place. 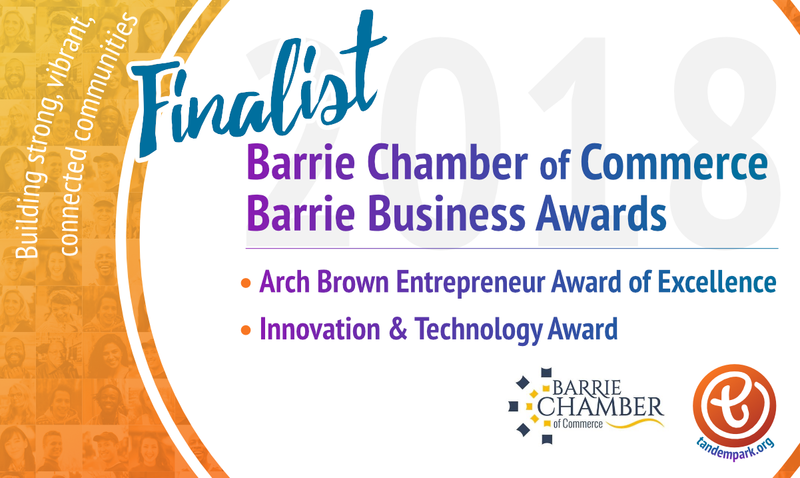 For more information about the Awards Gala and a complete listing of finalists, visit the Barrie Chamber event page.